The unemployment rate on reservations ranges from 35% to 85%. An experienced, dedicated Board of Directors with backgrounds that span a variety of industries, including business and financial management, strategic planning, law, education, health care, economic development, grants and programming, humanitarian services and multicultural diversity sets the stage for the strategic direction of PWNA and governs our administration and finances. PWNA’s Board structure includes several special oversight committees, including a standalone Audit Committee, a Finance Committee, Fundraising/PR Committee, Personnel Committee, and Board Governance & Development Committee, each of which makes its recommendations to the full Board of Directors. Passionate about improving quality of life for Native Americans, PWNA’s Board members volunteer their time and expertise to help PWNA achieve its mission and vision with efficiency and integrity. Our individual Directors are identified below. With the exception of PWNA’s President, all of them are independent voting members of the Board. Nationally recognized and respected for her legal expertise in tribal sovereignty, land restorations and federal recognition, Christina is a member of the Navajo Nation and affiliate to the Mescalero Apache Tribe. An attorney, Christina specializes in protecting the interests of Native American communities. Her experience spans Indian Child Welfare advocacy, tribal self-determination, taxation, reservation economic development, gaming law, and environmental and cultural preservation. Before opening her own firm, she practiced federal Indian law with Monteau and Peebles LLP and commercial litigation with Morrison & Foerster LLP. Currently, Christina serves on the Board of Directors for The California Endowment and the Elk Grove Unified School District’s American Indian Education Program. She holds a Juris Doctor from Boalt School of Law at UC Berkeley and a Bachelor’s in Human Development and Native American Studies from the University of California, Davis. Passionate about our mission, Christina brings multiple skills to PWNA, including legal and public policy expertise, strategic thinking and non-profit leadership. Jackie is an enrolled member of the Gros Ventre (Aaniiih) and Assiniboine (Nakoda) tribes of the Fort Belknap Indian Reservation of Montana. Her traditional Aaniih name is ‘Itha Gibi That' translated to mean “Walking Woman.” Jackie graduated from the University of Minnesota’s Carlson School of Management and earned a Bachelor's in business. Currently, she is a member of Nike’s Global Diversity & Inclusion team, serving as Program Manager, and prior to this managed the N7 Fund for Nike. Her work with the N7 Fund helped build capacity for sport and physical activity and provide grants to maintain or expand programming in tribal communities. When Jackie is not at home with her family and community, she stays busy serving as a Board member for Native Wellness Institute, Native Americans in Philanthropy and the Pine Ridge Girls School. Jackie brings to PWNA her knowledge of tribal communities, experience in partnership building, grants and program management and strategic planning. Currently a nonprofit consultant focusing on organizational relevance and sustainability, Mark is a certified public accountant with C-suite experience in finance, operations, accounting and “Big 4” public accounting. Mark served as chief financial officer for Susan G. Komen Foundation where he was responsible for all of the financial and administrative functions of the organization, including oversight of a $250 million portfolio of investments. Prior to joining Komen, Mark served at Blockbuster, Inc. in senior leadership roles that included responsibilities over retail store operations, strategic planning, global supply chain services and global finance. He also served as general auditor for Santa Fe International, controller for Santa Fe Minerals and senior auditor for Arthur Anderson & Company. Mark has broad industry experience spanning nonprofits, retail, logistics and distribution, consulting services, energy and manufacturing. He holds a B.S. in accounting from Marquette University in Milwaukee. Passionate about humanitarian causes he has served as an officer and Board member of the Boys & Girl Clubs of Collin County, Texas and a dedicated fundraiser for related causes. Kevin is a retired business development professional with a specialty in commercial plastics and electrical solutions. Previously with Werner Electric, he studied business and economics in college and values having worked his way up from pouring concrete, to corporate management and international business development in Taiwan, Korea, the UK, and Canada. He has a broad perspective and ability to interact with people of diverse cultures and socio-economic backgrounds, bringing his familiarity with reservation conditions. A lifelong helper, Kevin volunteers with the American Cancer Society, Ronald McDonald House Charities and Faith’s Lodge of Minnesota. Alyce is a nationally recognized expert in the field of tribal libraries, archives and museums, including Native American repatriation and preservation, museum development and training. Currently with the American Indian Language Development Institute at the University of Arizona, Alyce is of Kiowa and Tohono O’odham heritage and holds a Bachelor’s in Communications. A poet, writer and editor, her previous roles involved outreach and training for the Smithsonian Institution’s National Museum of the American Indian, executive leadership for a national service supporting the vitality of Native arts, implementing tribal relations for the Arizona State Museum, and grant review for the National Endowment of the Arts and the Institute of Museum and Library Services. Alyce’s extensive board experience spans the Arizona Humanities Council, Arts for America, Heritage Preservation, the National Emergency Services Review Board, the governor-appointed state board for Historic and Geographic Names and more. Co-founder of the American Indian Museum Collaboration Network, she currently serves on the Arizona Sonora Desert Museum Board. She earned the first leadership award from the Association of Tribal Archives, Libraries & Museums and the Director’s Chair Award for national impact from the Western Museums Association. Alyce adds expertise for PWNA in curriculum and program development, grants review and management, tribal engagement and strategic planning. Ann Marie is Managing Director of the Business & Economic Incentives practice at Jones Lang LaSalle. A problem solver by nature, she helps companies expand or optimize manufacturing, warehouses, offices, data centers, call centers, and other facilities. She has also held positions with The Staubach Company, KPMG as a Partner, Frito-Lay and PepsiCo, Trammell Crow, 3M, and Dayton Hudson. Ann Marie holds an MBA in finance and a bachelor’s from Texas A&M. At Frito-Lay, she managed the company’s minority business program and has worked with American Indian tribes on projects that begin to build a sustainable economic base. Ann Marie also served as Chairman of the Board for the Dallas Ballet, and previously served on the Board of the Texas Ballet and the Board of Texas CASA for abused children. Anne Marie currently serves on the Board of Oak Hill Montessori and on the Minneapolis Downtown Council. Joshua currently serves as Chief Information Officer for Haskell Indian Nations University. Prior to Haskell, Joshua served as youth program specialist for the Lawrence Douglas County Housing Authority, developing after-school programs and educational activities for youth of low-income families, and advocating for youth safety and wellness. He clerked both with Smith Coonrod, LLC and the Potawatomi Nation Tribal District Court, conducting legal research and documentation to support emerging issues. Joshua earned a Juris Doctor degree from the University Of Kansas School Of Law where he was the student director for the Tribal Law and Government Center. A tribal member of the Prairie Band Potawatomi Nation, he has served on the tribe’s Board of Directors for the Entertainment Corporation, Public Defender for the Healing to Wellness Court (Drug Court alternative), and Guardian Ad Litem for youth in Tribal Foster Care. Entrepreneurial, with a diverse background, Joshua brings to PWNA experience in strategic planning, youth programs, law, and information technology. Recognized for Native-owned business advocacy and tribal economic development, Leonard is a member of the Fort Peck Assiniboine & Sioux Tribes. As Founder and Executive Director of Native American Development Corporation, Leonard develops sustainability strategies and partnerships for revenue streams and job creation, supports government contract procurement and assists startup of Native-owned small businesses. 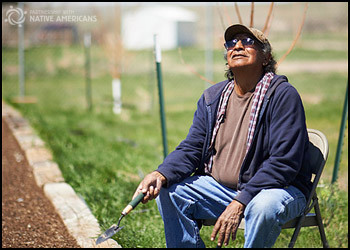 Formerly, he founded Native American Manufacturer’s Network generating $50 million in contracts for Native firms and served with the Small Business Administration directing economic partnerships and loans for businesses or farmers and ranchers on Montana, South Dakota and North Dakota reservations. Leonard also served in executive roles for several tribally owned companies, including a holding company, a government-contract manufacturing company and a management consultant firm. Previously awarded for regional economic development and small business advocacy by the U.S. Commerce Department and the U.S. Small Business Administration, Leonard recently completed the Tribal Housing Excellence Academy. He holds a Bachelor’s in Business Administration from Montana State University and complements PWNA’s board with skills in economic and business development, job creation and business strategy. Currently working for the Center for Native American Youth (CNAY) at the Aspen Institute, Nikki Pitre (Coeur d'Alene Tribe) is the Program Manger. Some of the programs Nikki manages are the Champions for Change and the Youth Advisory Board. Nikki supports the executive director in program development and is the chief strategist for youth engagement at CNAY. Prior to CNAY, Nikki worked at the American Indian Higher Education Consortium (AIHEC) and National Indian Gaming Association (NIGA). She also has the honor of serving on the Miss Indian World Committee for the Gathering of Nations, the largest powwow in North America. She earned a bachelor’s degree in American Indian studies from the University of Washington in Seattle, and is a current graduate student at the University of Oklahoma pursuing her masters in legal studies with a focus on Indigenous Peoples Law. Nikki brings to PWNA experience in grant management, youth and student services, advocacy and strong connections throughout Indian country. Robbi joined PWNA as President in 2013. She has 30 years of experience in building positive awareness of organizations and presenting their causes and capabilities to a wide spectrum of public officials, community and business leaders, contributors and the media. Her private sector experience includes work for Frito-Lay, Inc., Ernst & Young, LLP and First Preston Management in the areas of community and media relations, government affairs, organizational development and strategic planning. Committed to supporting diversity and helping people in need, Robbi has held leadership positions on boards of directors with several national, regional and local nonprofit organizations. She currently sits on the Honorary Board of the Dallas Area Habitat for Humanity, the Senior Advisory Board for the Women’s Business Council - Southwest, and the Board of Trustees for the Episcopal Foundation of Dallas and the Gaston Episcopal Hospital Foundation. Inspirational, forward looking and strategic in her thinking, she leads PWNA in creating and achieving its goals and focusing resources in areas where they can have the most impact on quality of life for Native Americans.